A Monkey Mafia! 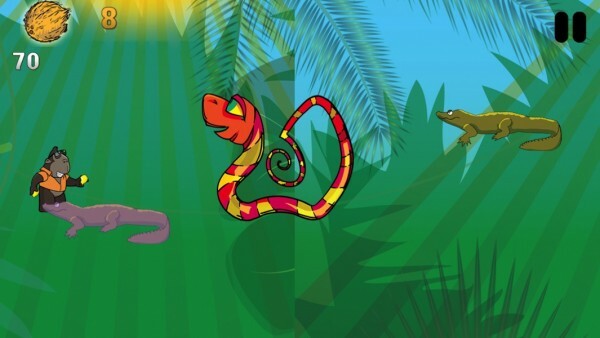 - Fruit Blaster Crew (Free) by Ocean Free, LLC is a side-scrolling shoot-em-up game filled with rhinos, snakes, and crocodiles. 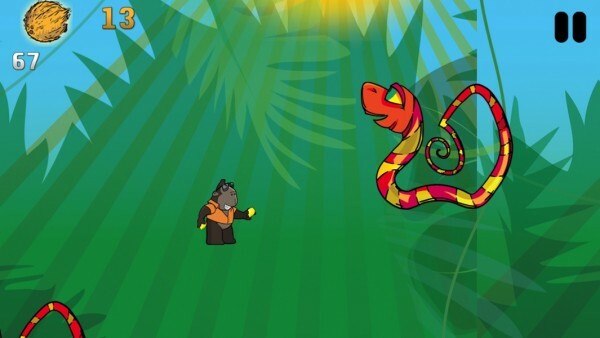 Blast away at an oncoming barrage of jungle animals with your arsenal of fruit to become the new king of the jungle. 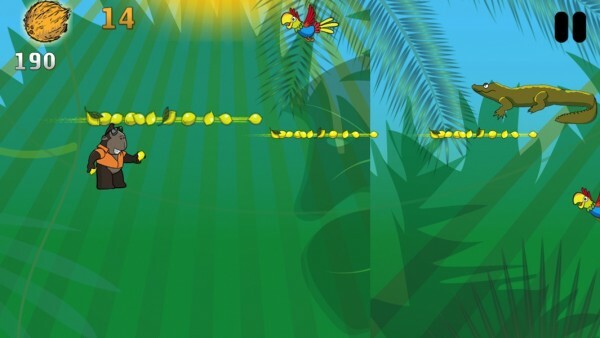 Players control a banana-shooting monkey by touching the left side of the screen for movement and the right side of the screen for firing the weapon. The enemy animals come flying at you from all sides and you must either destroy them with your banana gun, or maneuver around them. 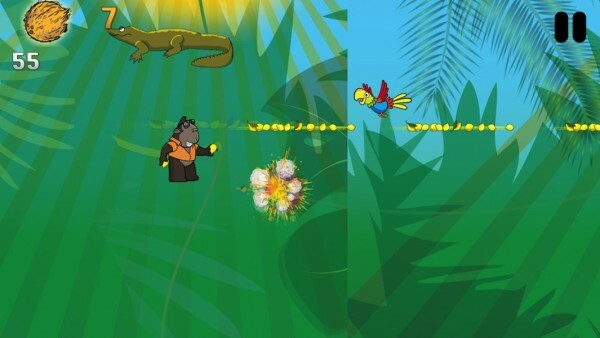 The monkey only faces one direction, but he can move anywhere on the screen. Most enemies will come from the right side of the screen. However, some will come from the left. 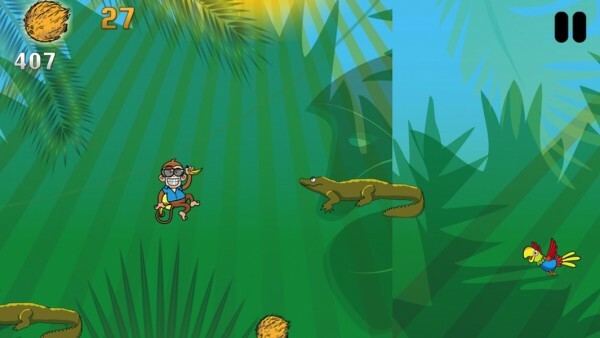 Since the monkey only faces toward the right side of the screen, the enemies on the left cannot be shot down. Instead, players must avoid those enemies by moving away from them. Players earn points for the length of time they survive the level. 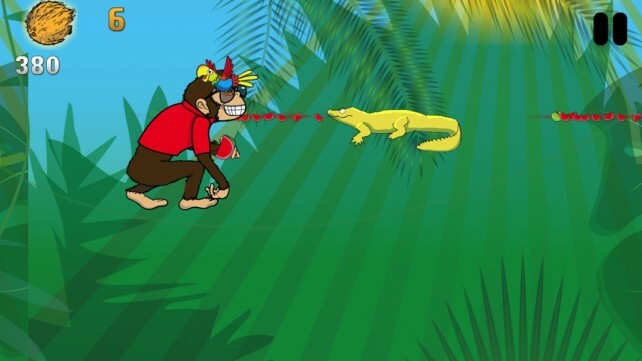 However, they must also collect coconuts that are used to unlock the rest of the Monkey Mafia. There are four different monkeys, each with a different fruit. 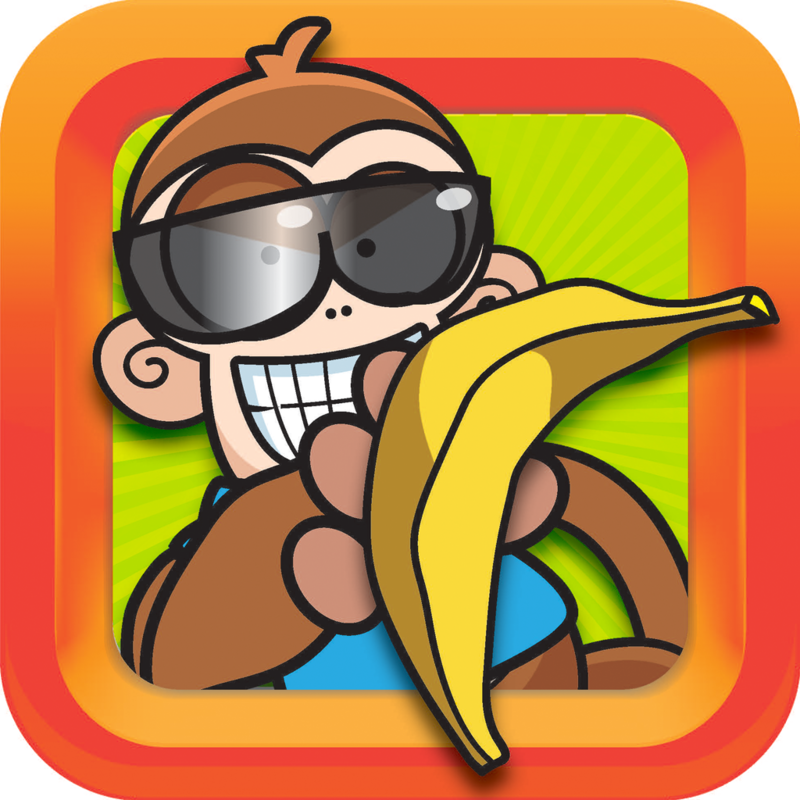 The monkeys also vary in size, but their fruit weapon doesn’t have any special power or increased abilities. There is a multiplayer section of the game where you can compete against other players. When I logged into multiplayer mode, I was teamed up against two other players. However, the game was no different than a single-player game. When it was over, there was no evidence of a score. I couldn’t tell who won the game and my multiplayer profile showed that I didn’t have any experience points, even though I had played against others. It also costs 200 coins to play a multiplayer game. Each player starts off with 1,000 coins, but I couldn’t see any way to add more coins. This game is not very good and full of ads. I can’t believe the game costs $1.99 to download, but is so heavy on advertisements. If it were free, I’d even question whether or not it was worth playing just because the game itself is mediocre, at best. The fact that the game costs twice as much as others in the genre and is full of invasive advertising makes it a rip off. Don’t buy this game.